Team Transport Truck launch for Man Therapy - proudly supporting beyondblue. Team Transport Truck launch for Man Therapy – proudly supporting beyondblue. Help us help someone who needs it! We are a Brisbane based transport company with over 200 vehicles established in 1981. Our industry and driver base is primarily male and we know some of the struggles these boys face on a daily basis when it comes to mental health. Nearly a third of men who are ‘blue-collar’ workers wouldn’t know what to do if they were struggling with depression or anxiety, more than a quarter believe that men with these conditions are seen as soft and many think seeking help is a sign of weakness. We hope to encourage these men as well as the general public, road users and our client base that it’s okay to ask for help. We recently ordered two new semi trailers – DAF Prime Movers with Palfinger cranes and approached the beyondblue organisation to discuss promoting their message by painting and wrapping the vehicles in the beyondblue campaign “Man Therapy” to get the message out to the general public. Davo is quite a character! Our purpose is to really make a difference and stop the stigma that is associated with depression. We are committed to bringing a real awareness to the community by making an impact and displaying to everyone that it’s not a weakness to ask for help. Over the years Team Transport have always taken an active role in the community with many sponsorships, support groups and foundations but to date there has not been one that is really as confronting as this one. It’s a new venture for us to get involved this way but we feel passionate about the cause and feel strongly that we can make a difference. Our drivers and employees are all valuable and their mental health is important! We have a mission to not only get the word out but also to help raise crucial funds for beyondblue so we are asking you to donate “10 bucks for a beyondblue buddy“! Your 10 bucks can save someone’s life! 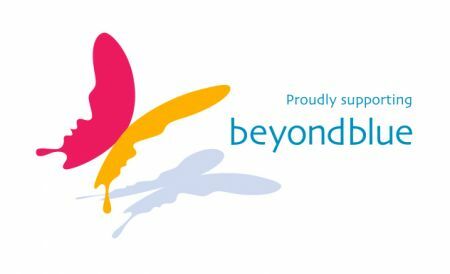 We are launching our beyondblue vehicles on September 1st so look out you will see them all over Brisbane! Please Truck on over to our fundraising page and become a beyondblue buddy!